China Betaine Anhydrous Suppliers, China Betaine Anhydrous Manufacturers. Packing: 25Kg moisture-proof film bag lined paper-plastic laminated bag. It can be used as high efficient methyl donor to replace methionine and choline chloride in food additive. 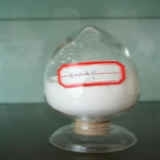 Moreover, it is one kind of osmoregulation adjusting agent to improve the growth of animal. Moreover, it can improve the stability of VA, VB.